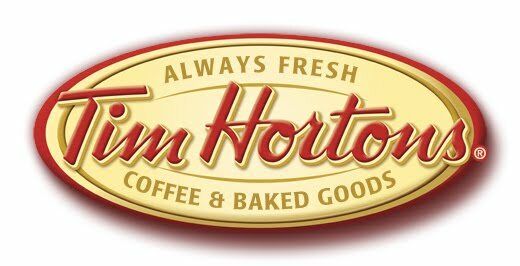 Well the very nice, but slow to start new mall; Muscat Grand Mall, was supposed to be the location for the first Tim Hortons outlet in Oman, after a store in Muscat City Center was bumped for another brand. Well it seems that there was a legal tussle between Apparel Group (the franchise owner of Tim Hortons in the Middle East) which has been resolved - but has delayed the opening of the branch in MGM. Now there are still plans to open the MGM branch "later this year" but the news today is that the first Time Hortons branch to open in Oman will now be at the Muscat City Center main entrance, where the Birkenstock store is (I understand) - and it should be open by the middle of July, or before. And you can not blame the owner for wanting to open in MCC first... I was there yesterday at 4pm and even the top parking lot was nearly full, and the mall itself was heaving! In contrast, MGM was busy with a different set of people - in gym shoes, walking laps around the mall, which I think has become one of the top reasons people go to MGM currently. This business of using Malls to walk around for exercise should be discouraged especially in Oman where the lazy sods do not want to spend money to go to proper places for exercise. Let them go to the Beach. Am I going mad - as far as I'm aware there is no Birkenstock store in Muscat City Centre - correct me if I'm wrong, but as far as I know a Birkenstock Store is due to come to Muscat Grand Mall, but I haven't seen on in MCC - Confused, that's me, but it could just be my age ! No your not going mad, I meant a different store by the main entrance at MCC - its a shoe store currently I think, not Birkenstock... my mistake! Main entrance... there's only the tiny Nine West. That's not enough place. Eiother way, the way MGM has started of is a big FAIL. They're not going to gain as much popularity or as much crowd as MCC currently enjoys. After my first visit to MGM, I haven't even thought of visiting them again. I would say that the Carrefour in MGM is super handy - never any lines to check out and right by a parking entrance too. is the first post a joke? I wanna see you walk on the beach in this ridiculous heat. And I believe there exist formal organizations for groups of people to walk malls. Any update on the opening? either in MCC or MGM whichever opens first? Its mid July already, I haven't gone to MCC for over a month so have no idea if any store came up.